『협주명현십초시(夾注名賢十抄詩)』는 과거시험 준비생들의 수요를 염두에 두고, 권람의 교정을 거쳐서 간행한 중국과 한국(신라)의 시인 30명의 시선집이다. 내용은 각 시인의 작품 중에서 7언 율시(七言律詩) 각 10편씩 총300편을 뽑아 주해를 붙인 것이다. 이 책은 경상도 밀양부에서 간행한 지방관판본으로서, 한국인이 그 대상을 선정하고 직접 주해한 최초의 한중시선집으로 매우 귀한 사례에 속하는 책이다. 이 책은 중국과 일본에서도 그 가치를 인정받고 있으며, 고려 말 조선 초 서적의 유통과 문화 수용의 양상, 한시의 학습과 활용 등을 보여주는 귀중한 자료이다. This book, Hyeopju myeonghyeon sipchosi (Ten Selected Poems by Worthies with Notes), is an anthology of poetic works written by thirty famous writers in Korea and China. 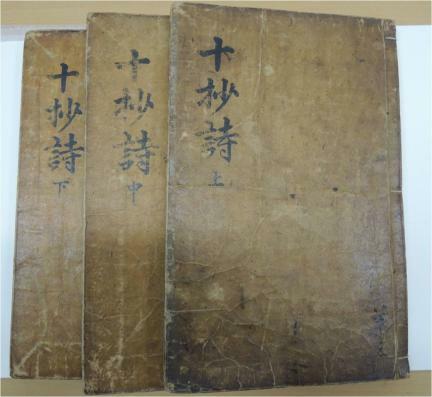 The book contains three hundred selected poems (ten each by thirty writers), which were revised and annotated by a military official of early Joseon named Gwon Ram (1416-1465). 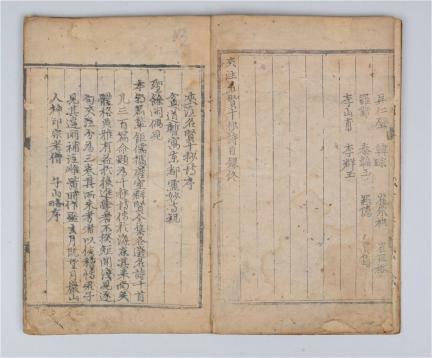 Published by the local administrative authority of Miryang-bu as a study material for students preparing for the gwageo (state examinations), the book is highly regarded for its rarity value as the first anthology of poetic works by Korean and Chinese masters selected and annotated by a Korean editor.